Rotator Cuff Tendinopathy (RCT) is a common shoulder problem. One or more of the four tendons of the rotator cuff, which control shoulder rotation, can become inflamed and this restricts movement, causing pain. RCT is due to small tears in the tendons caused by overuse or instability. Common causes include constant wear and tear on the shoulder joint, muscle imbalances, poor biomechanics or posture, previous shoulder injury, lack of flexibility, training errors such as inadequate warm-ups or excessive use of the shoulder. Injuries like Rotator Cuff Tendinopathies need to be treated by a health professional to prevent further damage. 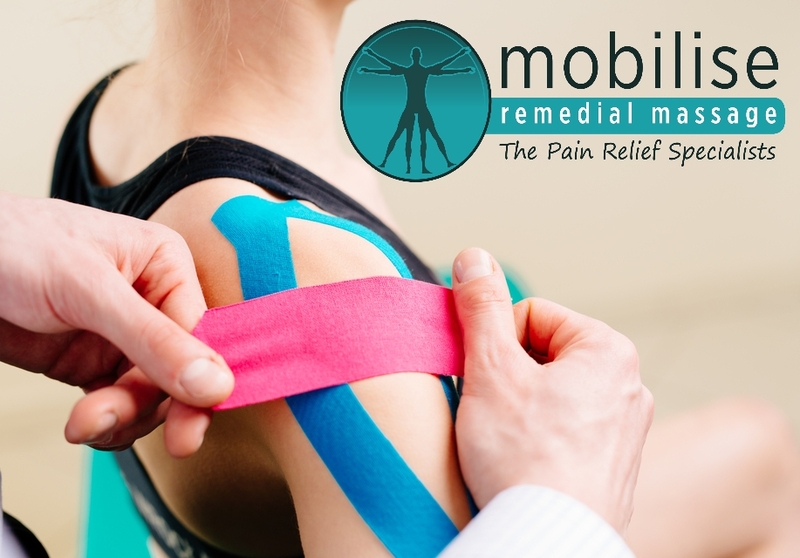 If you experience signs or symptoms including pain in the upper arm or shoulder, heat and swelling around the shoulder or a decreased range in motion and strength, you should talk to one of our Myotherapists as we can advise you on what to do next, and help you overcome your pain. Without treatment, some people can experience pain anywhere from 1 month to 2 years which can be aggravated by a variety of movements including reaching above your head, lifting heavy objects or even lying on your shoulder. Our Myotherapists will talk to you about your condition, assess your posture and movement, and develop a treatment plan to reduce your pain, and increase your range of motion and strength. They will use techniques such as deep tissue massage, trigger point therapy, gentle stretching, joint mobilisation and even dry needling (only with your consent!). They will develop a comprehensive rehabilitation plan so that you can help yourself heal at home. 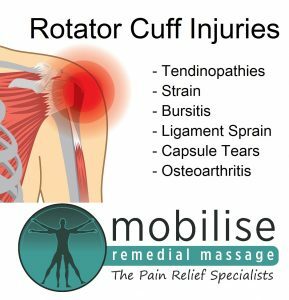 Our Mobilise Remedial Massage Therapists can provide a number of treatment options to get the full range of motion and strength back in your shoulder but more importantly, help prevent the problem reoccurring. If you are experiencing some of these symptoms, call us at our Mobilise Toowong 0473 090 442 clinic and let our Myotherapists assess your problem and set you on the way to recovery. Or BOOK ONLINE today!